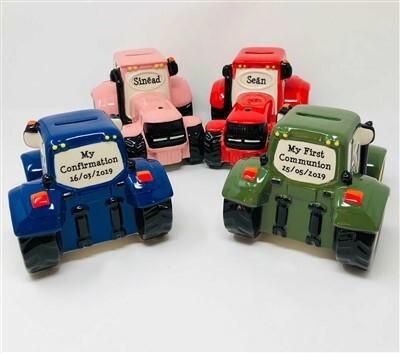 Our wonderful ceramic tractor money boxes are available in 4 colours. Printed on the back with text of your choice up to a maximum of 8 words - making them the perfect keepsake of a special day. They are personalised on the front with a name.